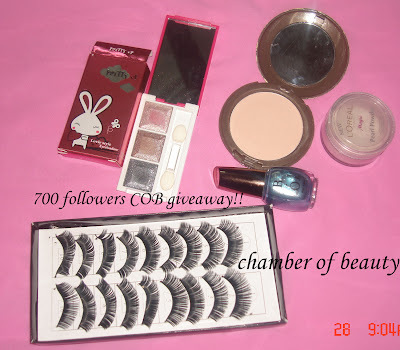 being pretty-an indian girl's blog: Chamber of beauty's 700 Followers Giveaway!! Hey everyone!! Here's Rakshanda's Giveaway on her blog Chamber of beauty! !